Playtech have been at the forefront of online video slot development for the last two decades. They make great slot games for the onlin casino industry and offer free spins, cash bonus rounds and much, much more. This is the new online slots game from Playtech. It is available now at our recommended UK online casinos. THis is a basic game with great bonus features to get those extra big wins. There are 6 reels to spin and win, each reel is extended to show four symbols. This game offers 4096 ways to win. There are no fixed paylines. Symbols are very basic, Card values running 9, 10, J, Q, K and A. There are 5 jungle animals including the Epic Ape himself and the Diamond Wild symbol. There is also the FREE GAMES scatter symbol which can appear on any reel and 3 or more will release the bonus game with up to 100 FREE SPINS. Normal base gameplay is pretty standard, one thing you will notice is that the EPIC APE symbol appears frequently and stacked on many reels. This is a good thing as it will lead to enormous winnings, spinning 6 EPIC APE symbols will win you 300x your coin value. The WILD symbol does appear at times and will increase your chances of a win. 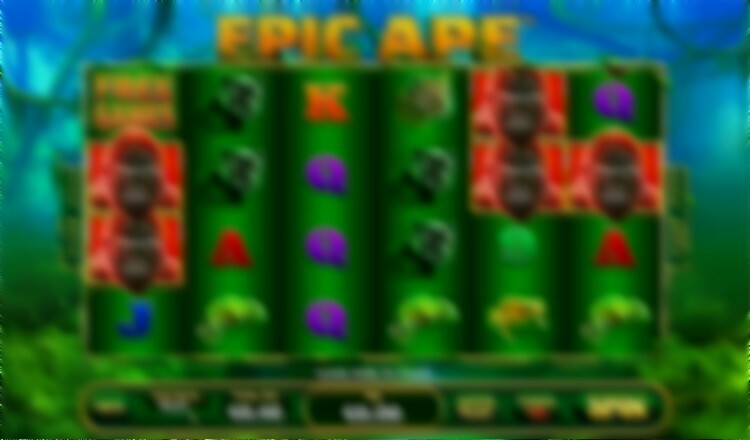 The FREE SPINS scatter symbol can appear at any time on any reel. The key is to get three or more appearing on the reels, in any position, at the same time. 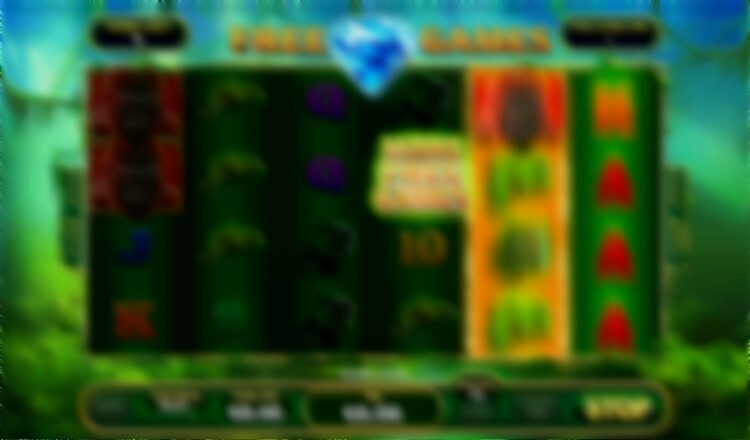 This will trigger the free spins bonus game. Get 3 SCATTERS and you are awarded 8 FREE GAMES, 4 scatter symbols will give you 15 FREE GAMES, 5 scatter symbols will get you 25 FREE GAMES and 6 scatter symbools will award you 100 FREE GAMES. What a bonus!!! 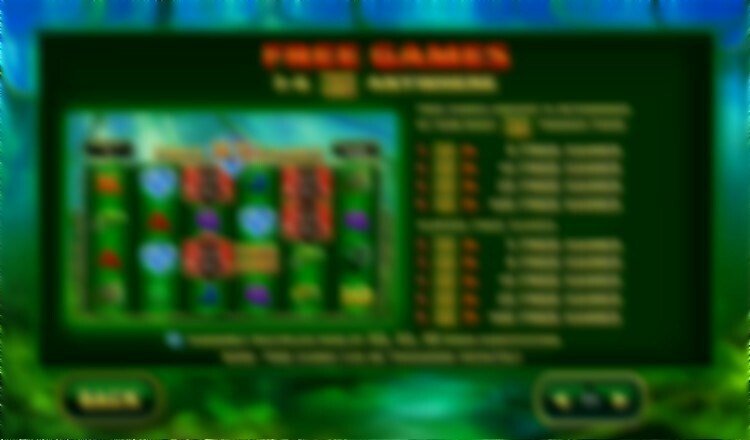 During the free games the WILD symbol will also give a x2, x3 or x5 win multiplier, chosen at random. The free spins can also be increased indefinitely. Land MORE FREE GAMES symbols as you spin the reels to add 5, 8, 15, 25 or 100 extra spins to your bonus. These free game can continue and win you huge jackpots. Get your free spins and win big cash with the all new Plytech online slots game. I really enjoyed playing this game and even though free spins bonus was never more than 8 or 15 free games it was quite forthcoming. getting an extra 5 MORE FREE SPINS is also very realistic and possible. This game is now widely available. We have selected several UK online casinos that offer online slots game from Playtech. All the casinos we choose are licenced and regulated by the UK Gambling Commission. Choose your casino and offer from the three listed below. FREE SPINS: New customers only. 20 spins after signing up. 180 spins after first deposit, 20 immediately and 20 per day for the next 8 days after depositing, spins and wagering on Age Of Gods slots game only. Wager 20x before withdrawing. See full T&Cs. 200% bonus up to £300 on your first deposit. New Customers Only. Min Deposit £35, 35x WR. offer must be accepted within 72 hours. Bonus Valid for 30 Day, bonus can't be withdrawn. Not all games contribute the same percentage to the WR. Skrill/Moneybookers/Neteller are not valid for this promo. Real money balance can always be withdrawn T&Cs Apply.